It seems that some Microsoft email accounts with the domain names hotmail.com and msn.com along with Outlook mail were apparently breached by hackers and the severity of the attack is said to have amounted to criminals being able to read even subjects of emails along with names of folders and the email address of the compromised accounts. What all were reportedly compromised? As per the above image, quoting a ‘compromised’ user, the body of the email and the actual information contained in the email were not affected, ditto passwords and attached files; but it could have been only the base-level details such as email subjects (and more). If this was true, then there is nothing to panic about. This attack is said to have taken place starting from 1 January and till 28 March 2019; which is a long time. Nonetheless, if you are a Microsoft Outlook email use in general then do remember to reset your password - in general, lest you risk a more severe attack. 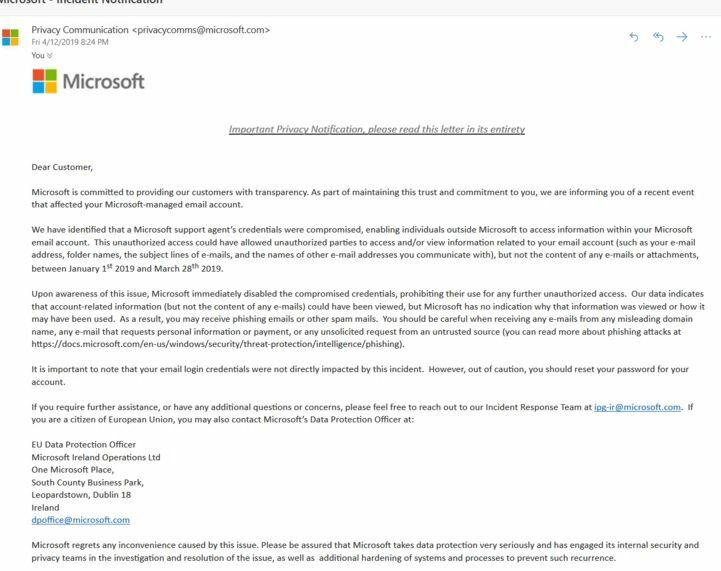 Microsoft has even confirmed disabling of the affected support agent which is said to have been the source of entry for hackers to gain unauthorized access to users’ email accounts. Still, it is desirable that you now take total ownership of your Microsoft Outlook, MSN, and Hotmail accounts. At the time of composing this article, our Microsoft email Inboxes did not have any message from Microsoft indicating hacking of any kind. But still, we are doing our bit by changing the account password and potentially enabling two-step verification during sign-in. 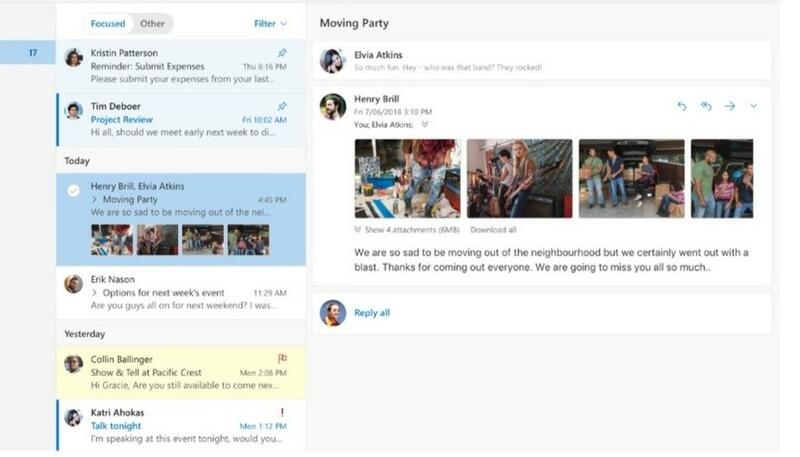 Also Read: Microsoft To Refrain From April Fools' Day Stunts This Year To Avoid "unwanted News Cycles"